I decided to up the ante and go salty sweet. That’s what’s “in” and it’s “in” because it’s legit. 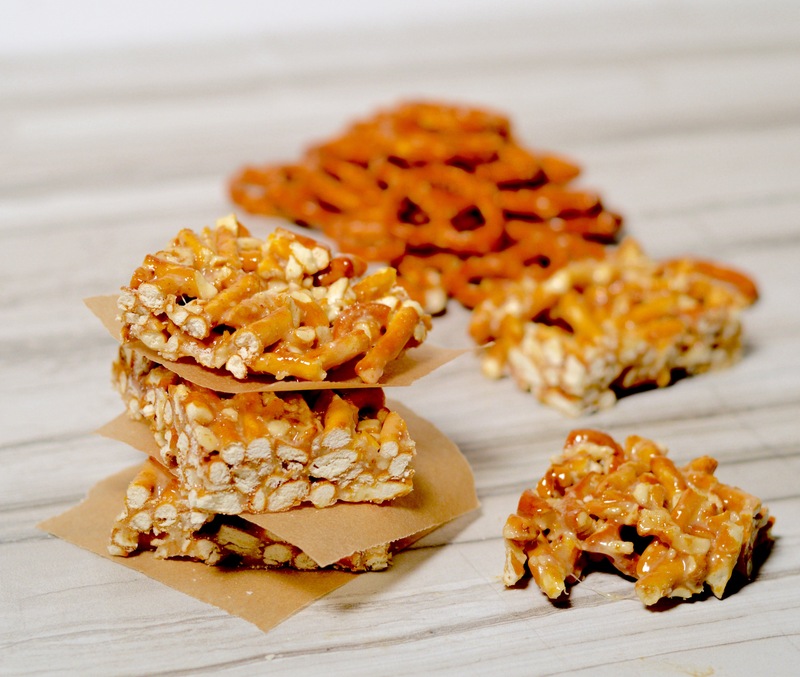 These crunchy, chewy treats are the perfect blend of flavor and texture. Seriously good here. Plus, it doesn’t get much easier than this. I would be hard pressed to even get to the store and back in the time that it took to make these. 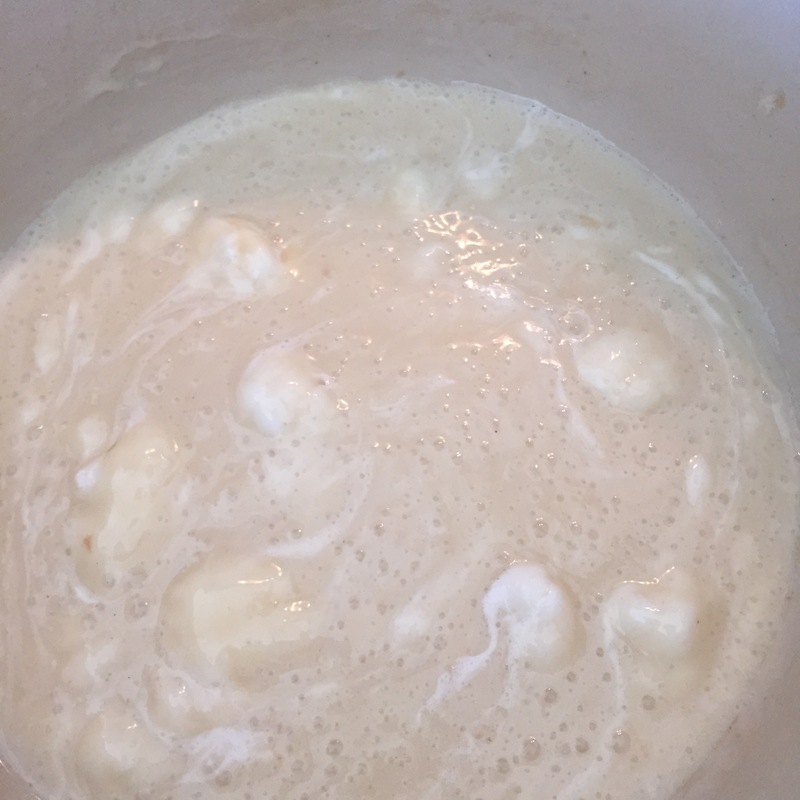 In a large, heavy bottomed pot, melt butter over medium heat. Add marshmallows and stir constantly until melted and combined. 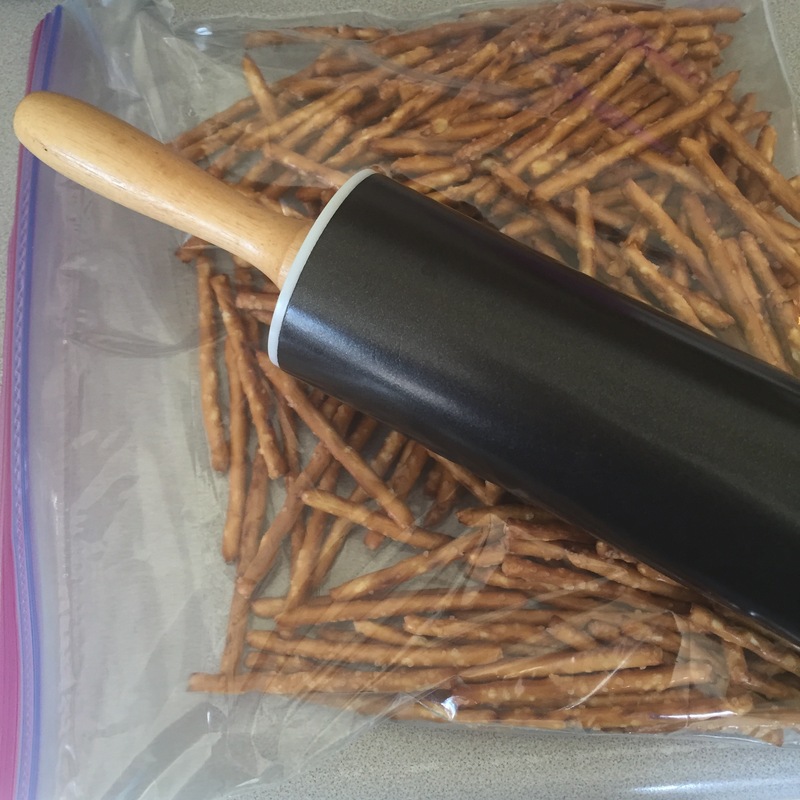 Remove from heat and stir in crushed pretzels until thoroughly coated. 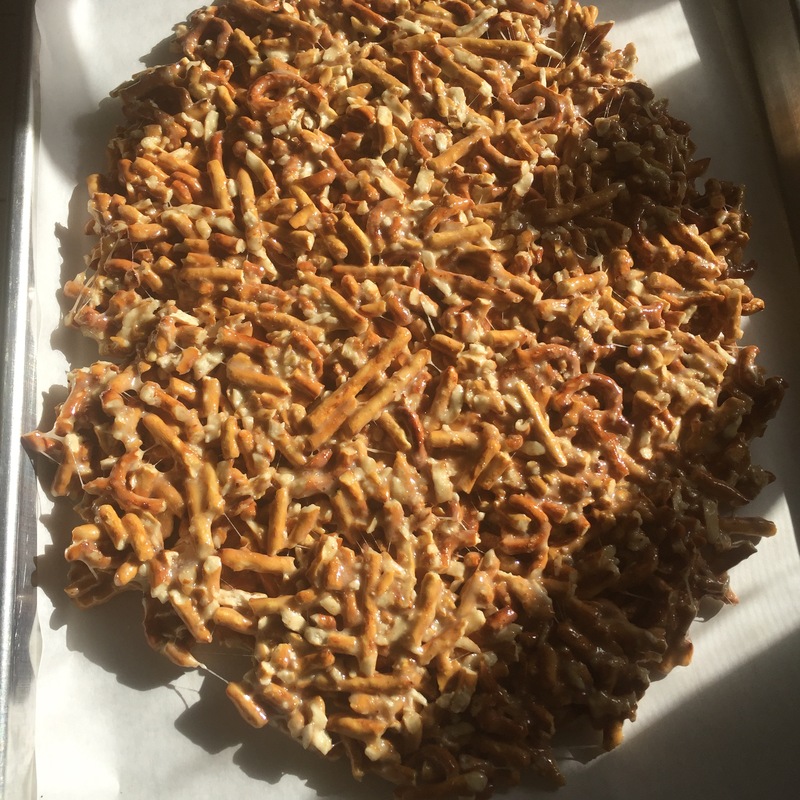 Turn pretzel mix out onto parchment paper and flatten to an inch or inch and a half thickness and allow to cool. Once cooled, cut into 2×2 inch pieces. These can be made ahead and stored in an airtight container with parchment or waxed paper between layers. If it wouldn’t burn me like molten lava, I might have eaten this butter/marshmallow soup with a spoon! The end result will be these beautiful and delicious bars. Enjoy! Swearing Mom out.